Home News Why did they ever think that women could join the infantry? Why did they ever think that women could join the infantry? Another of David Cameron’s projects has run into a spot of bother with reality. The Mail reports that the first woman to start training as an infantryperson has withdrawn from the 18-week course after two weeks because it is too physically demanding. That will hardly be a surprise to anyone who knows anything about soldiering or to TCW readers. Cameron’s politically correct drive to recruit females into the combat arms ignored this simple fact. In 2016 the US Marine Corps demonstrated to its own satisfaction that placing women in combat roles does not work and reduces combat efficiency. There is also physiological evidence which demonstrates that when heavily loaded the mechanics of a female pelvis place significantly higher loads on hips than a male one. But hey, let’s not let tiresome facts intrude on the onward march of political correctness. Quite how this lunacy was ever permitted is a question that only the senior elements of the MoD can answer. It is perhaps the ultimate achievement of the steady mismanagement of decline that is our current defence policy, combined with the ruthlessness of the Treasury in using budget cuts to bludgeon commanders into accepting the unacceptable. 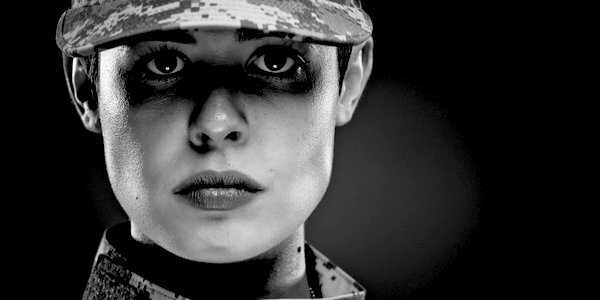 There is no right to be a member of the armed forces for either men or women. It is a tough job and at every level an individual holds the lives of others in his (or her) hands. Being unable to carry the necessary weight means that you can’t do the job. End of. When did the biggest problem in defending the Realm become a lack of infantrywomen? So Defence Secretary Gavin Williamson, who has been remarkably silent since his early gambit of allowing a senior officer to fire a broadside at the Treasury, now has an opportunity to stop the armed forces wasting scarce funds on trying to recruit and train female infantrymen and start the fightback against the monstrous regiment of PC wimmin by deciding as a matter of policy that combat effectiveness is the measure of success, not diversity ratios, and that the experiment in women in combat arms is over. He has all the evidence he needs, and could win the fight easily. When the sisterhood howls that it’s all a misogynist fix, all Mr Williamson has to do is point to the amount of equipment that infantrymen have to carry and a set of scales. He could even invite some of the shrillest campaigners to an activity day at an infantry training centre. Which is not to say that there is no place for women in the armed forces: there are many roles in which they excel (some also finding time to win Olympic medals rowing). Heaven knows, we’re awfully short of soldiers. Of course, admitting to reality would undermine the entire concept of the elaborately constructed Potemkin village that is our defence policy. And allowing common sense to enter one government department could seriously undermine the credibility of others, to the discomfort of the Sir Humphreys. It would also embarrass the future Chief of the Defence Staff, General Sir Nick Carter, who is not only an infantryman but also happened to be running the Army when the great surrender to PC happened. I therefore look forward to some ludicrous piece of spin which demonstrates that black is white, up is down and everything in the MoD is hunky-dory.